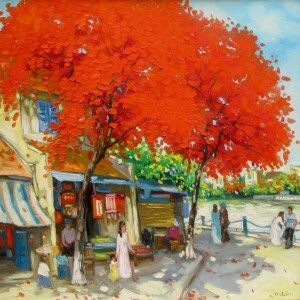 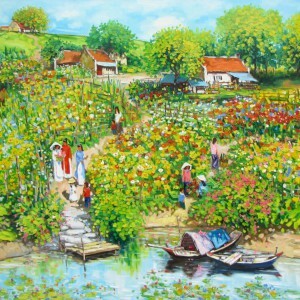 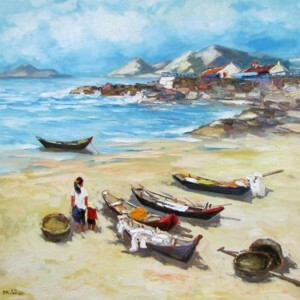 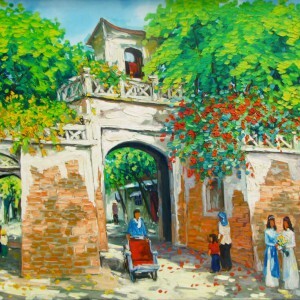 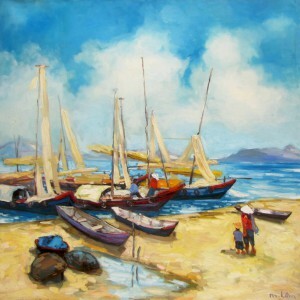 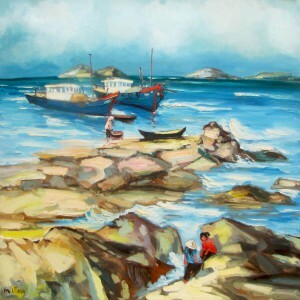 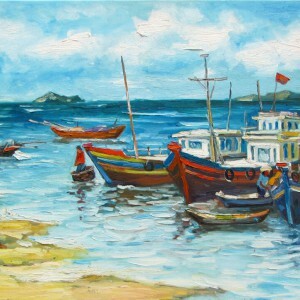 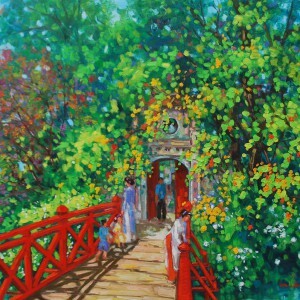 Contemporary Asian artist Lam Manh paints an idyllic picture in the heart of the city of Hanoi. 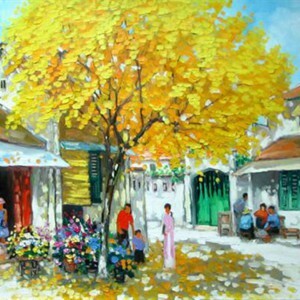 It emphasizes the harmony between man and nature even in the city. 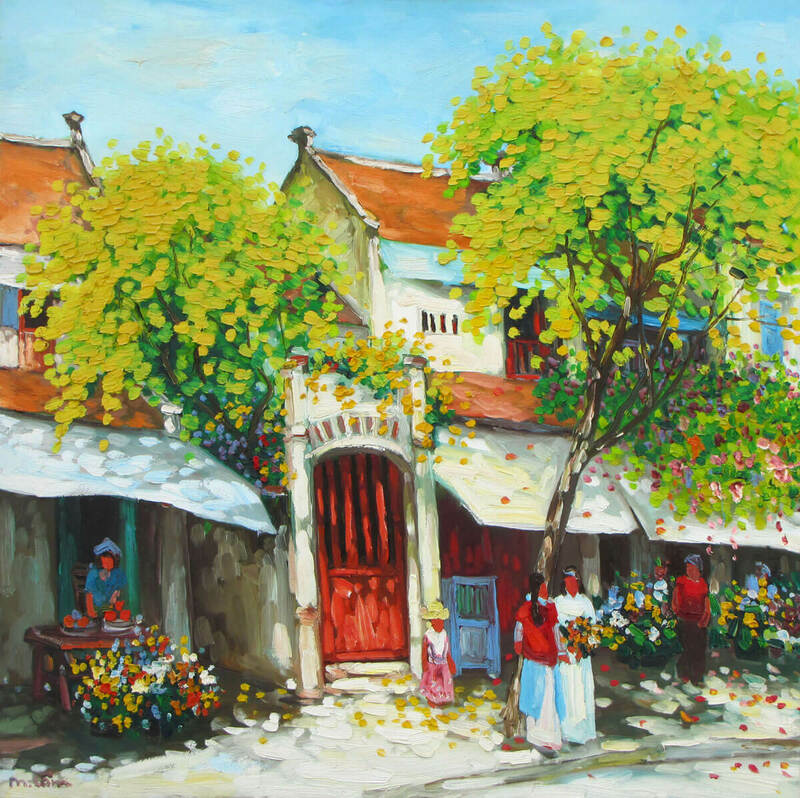 There is a leisurely pace in the composition, with women standing and chatting and flower sellers selling flowers. 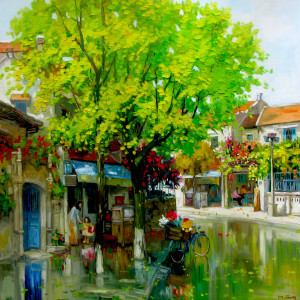 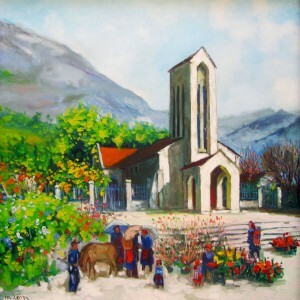 The intensive palette adds to the composition’s joyous spirit, establishing an emotional connection between it and the viewer.